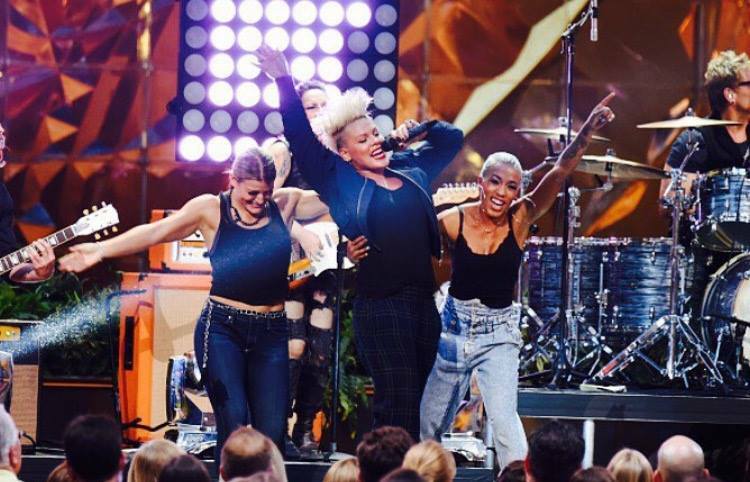 Yesterday, Pink celebrated her birthday in style on The Ellen Show. Pink turned 36 yesterday, and had recently recorded ‘Today’s the Day’ as the new theme song for Ellen’s show. She premiered the song yesterday on the first show of season 13. Pink recorded two shows with Ellen while in New York, which included performances of Today’s the Day, Try and an interview. More photos & videos will be shared when they are available! This entry was posted in Uncategorized on September 9, 2015 by pink history.